Born and raised in the northern spanish mediterranean coast (26/11/1980) Luis has been in Thailand since 2013. He discovered the underwater world in 2001 when he got his first diving license and has been diving around the world ever since. Today he’s ranked as PADI MSDT and SSI OWSI. He is fluent in english, spanish and catalan. Luis always had a deep admiration for the ocean and its inhabitants. After getting a degree in Biology he decided to move forward in the field and get a Ph.D. in immunology which, eventually, allowed him to move to Southern California and get a possition as a postdoctoral fellow in a worldwide reknowned research institute. But he soon realized living within 4 walls surrounded by microscopic beings wasn’t his thing and, two years later, he decided to quit science. By that time he already was an experienced Rescue diver. 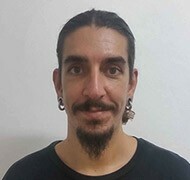 It wasn’t though until he met his friend and bussiness partner Guillermo a few months later while they were taking classes to become comercial boat captains that together they decided to move to Thailand and take over a small dive center in Koh Samui, which was on sale by that time. Furthermore Luis is a diehard fan of the great masters of history. Steve comes from the east coast of England. After becoming a PADI pro decided to leave his job on a chemical plant to pursue his wish to become a full time working PADI instructor away from the cold waters of the UK. He spent a few years working around the Mediterranean as an instructor in places like Turkey, Spain, Cyprus. During this time he continued his diver education through the PADI system to Master instructor. 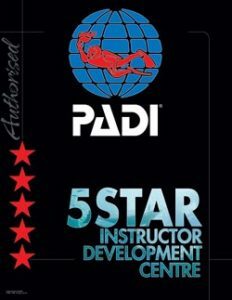 This allowed him to continue not only as an instructor but also opened other options within the dive industry leading to positions as “lead instructor” and dive centre management. 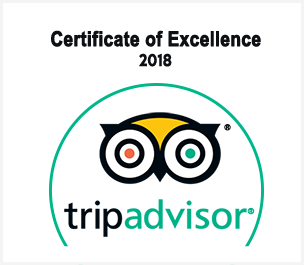 In 2015 he was accepted on the highly sort after PADI Course director training course held in the Dominican Republic. After returning from the Caribbean he settled back into his position as a dive centre manager in Malta a position he had held for 7 years. Steve had always wanted to live and work in Thailand to experience a new way of life and the culture with some of the best diving in the world. Always happy to help with anything to do with diving from entry level to professional level training as he enjoys every level of teaching, still a great joy for him is seeing the happy smiling faces of the divers returning from a guided dive and from the guys who have experienced the fantastic underwater world for the first time. He looks forward to meeting you and making new friends! Born in Seoul Korea, adopted to the U.S.A, John had the sea in his blood. After 24 years of decorated military service and years of private contracting overseas, John decided that life was too short to not pursue his dreams. After getting his B.S degree in Human Resource Management, his Associate degrees in both Criminal Justice and Airframe and Power plant Mechanics, John decided to make his hobby, his occupation by becoming a PADI Divemaster. 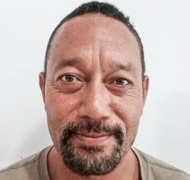 John has vast experience in the dive industry serving in various positions that include Dive Shop Manager, Dive Retail Shop General Manager, and Divemaster Team Leader. John’s professionalism, dedication and work ethic are a credit to himself, Silent Divers and the Dive industry. Born and grew up in a little town in the area of Stuttgart, Germany. 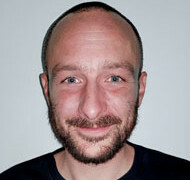 While studying history, German literature and comparative linguistics he started to work in a local dive centre. 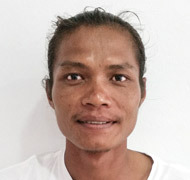 For four years he was working as a Divemaster. During this time diving became more and more important to him and the idea of working as a dive pro grew. 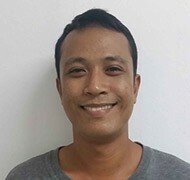 In 2018 he finally took his IDC in Bali, Indonesia and came to Thailand for work. Being a young and motivated Scuba Instructor, Andreas is looking forward to meeting new people, gaining experience and introducing his students to a whole new world of wonders down in the blue. “Joy” was born in Thailand (10/05/1981) and speaks thai and english. Born and raised in the Buntharik Disctrict, Ko spent most of his life as a farmer, working from dusk till dawn in the rice fields of Isan. In 2016 he decided to come all the way down to Samui and started working for Silent Divers and very soon we all agreed he was the best boat boy we had ever met. His commitment, enthusiasm and will to become the best boat crew he could possibly be soon led him to take the Thai Captain exam, thus becoming the official captain of the company and our beloved KRAKEN.